When I went to Kentucky there were many things I experienced that I did not expect. Most of them were fun… some were annoying. I visited family and friends one last time before returning to the academic world. I know some bloggers post several times a day, others post at least several times a week. I have not had time because I’ve been really busy relaxing. If you have ever had a vacation to relax with family and friends, then you know how busy a vacation can actually become. We stumbled upon this while visiting antique shops in Berea. I actually really liked what I saw here and will spend a little more time the next visit I take to Kentucky. I say I stumbled upon it because we were with my mother-in-law shopping for antiques. She decided she needed some yarn, so we headed down the street to a yarn shop. Well, the Berea Center for the Arts was located at the back of the yarn shop. You just never know what you will find when you are out exploring the world… even in a yarn shop! My favorite artist was named R.M. Rollins. 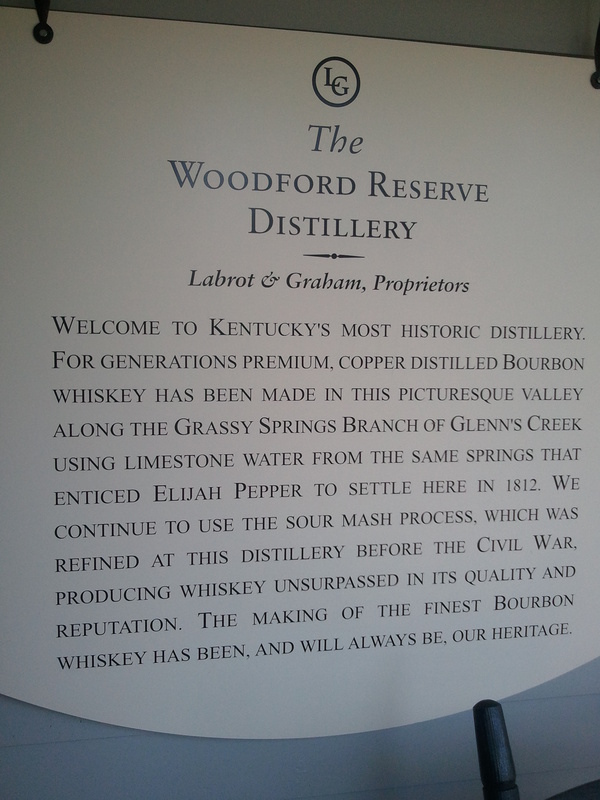 The Woodford Reserve in Versailles, Kentucky was an interesting experience. 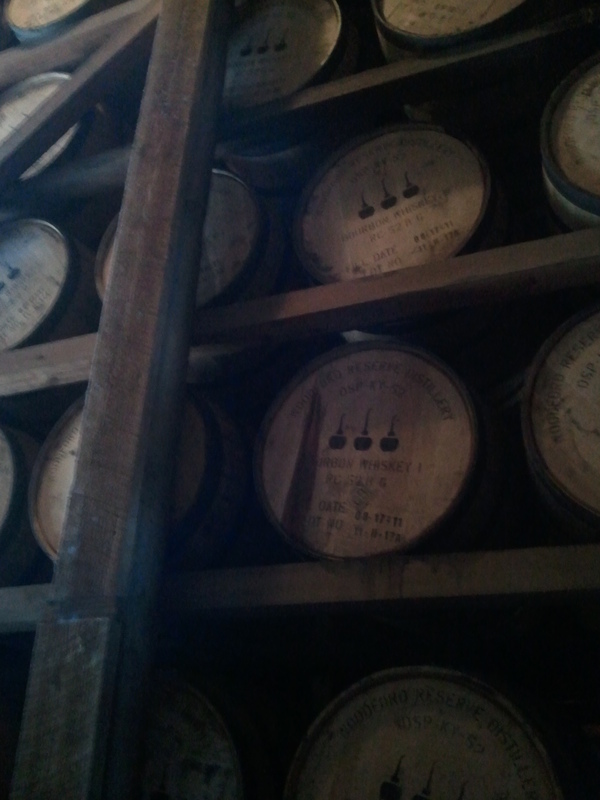 I was able to see some of the process of making bourbon. 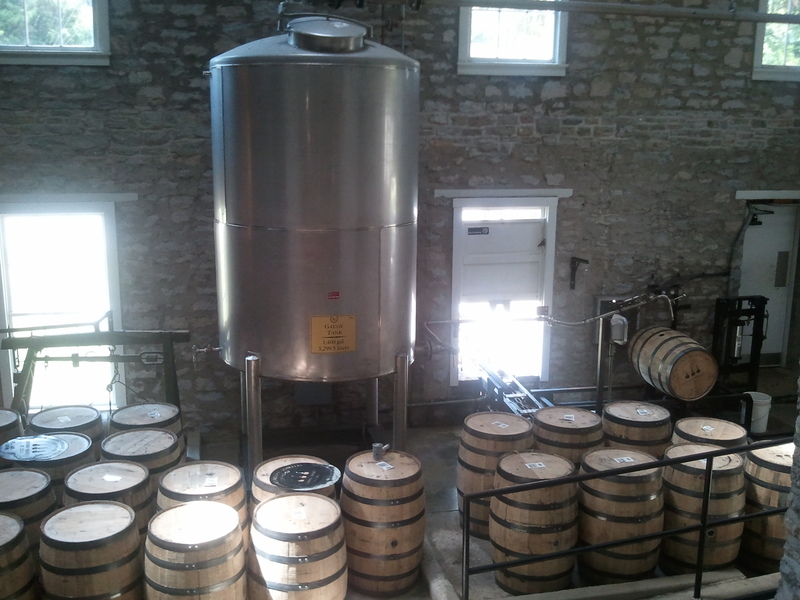 In addition, I learned that Woodford Reserve is the ONLY bourbon to be triple distilled in copper stills. I am not a bourbon drinker so the free shot of bourbon was not a great experience for me. However, we did get free samples of candy made from bourbon and chocolate… and that was excellent. We found mostly country/farm antiques. 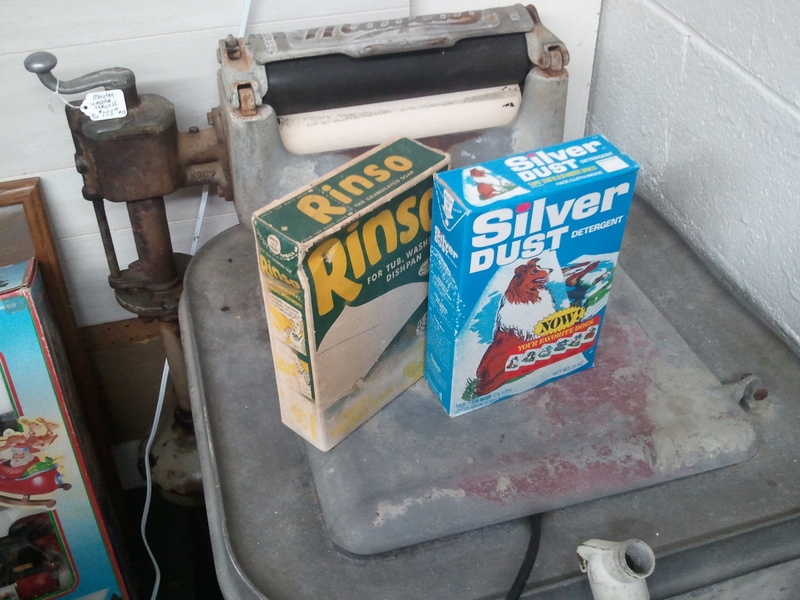 It felt like grandma on the farm cleaned out her garage. There was some nice oak furniture and some very old toys. Other than that, it was mostly a country lovers knick knack experience. 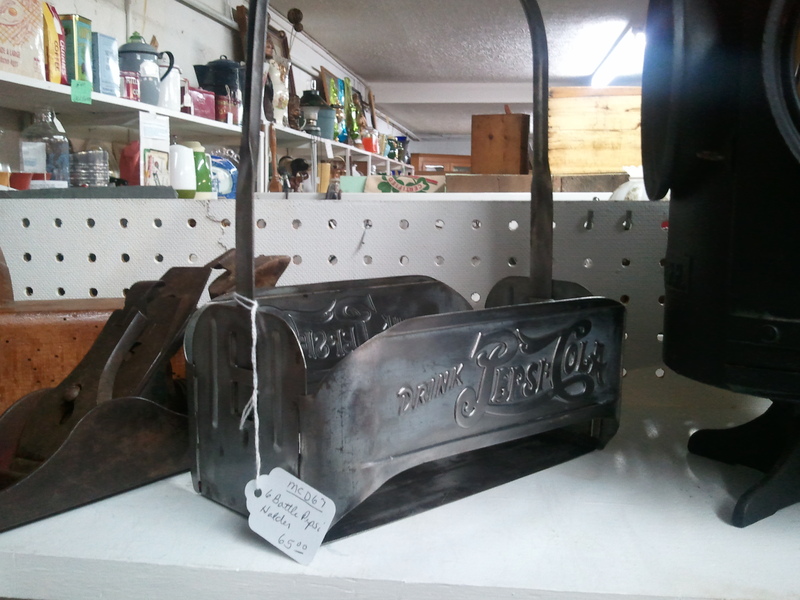 The most interesting things I saw, other than the toys, were the old Coke and Pepsi machines… old Pepsi and Coke signs, and old appliances. My wife and I are not antique experts yet. But we enjoy going to yard sales, auctions and estate sales. We go to antique shops to help us better understand what the things we see at (auctions, yard sales, etc) are actually worth. My auction successes and failures might make an interesting blog post sometime. 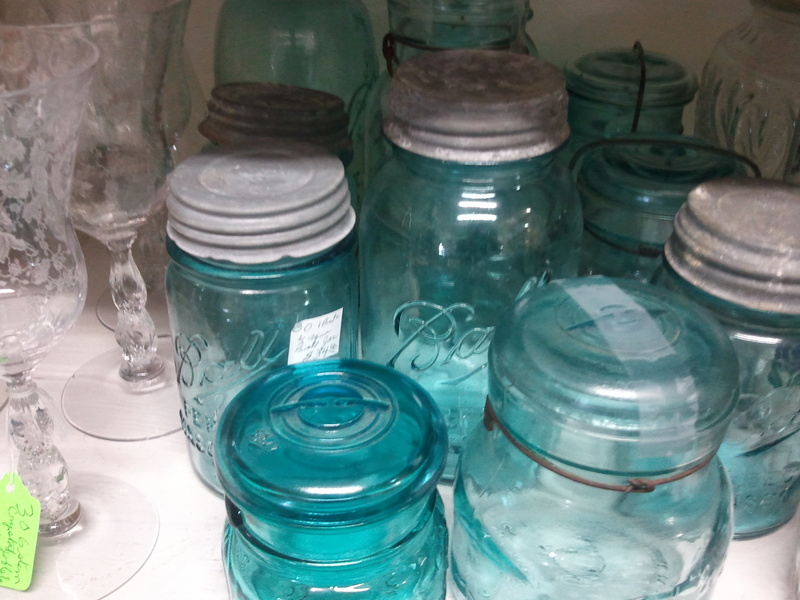 Why Do People Collect Antique Ball Jars? My grandfather had one of these washing machines in his basement. Seeing this reminded me of him. The Bionic Woman lunchbox reminded me of the television show The Bionic Man (The Six Million Dollar Man). “We will rebuild him… bigger, stronger, faster.” I am sure waaaaay back then, you know… in the 1970s… $6-million probably went a long way. How much do you think it would cost to build a bionic man today? I think you could still do a lot with $6-million. My Wife caught a Kentucky Snappin’ Turtle! My wife and I went fishing with my father-in-law. We caught 8 catfish and kept seven of them. This was my first time skinning catfish, and that was an experience. We used pliers and pulled the skin off the fish… which was amazingly easy. My wife fried them up in beer batter and we ate them the same day we caught them. I have only had catfish a few times, and this is my first time eating catfish that I caught. It tasted very, very, very good. In addition to the seven catfish we kept and ate, we caught other fresh water animals and threw them back. 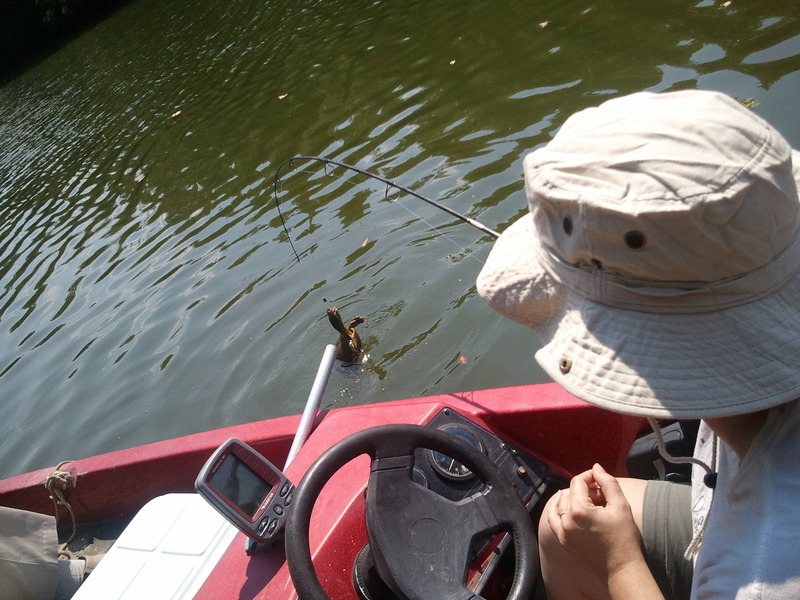 We threw back one catfish, four bluegill, one fish that looks like a bluegill, and my wife caught a snapping turtle. However, the frustrating part was the customer service we received at Wal-Mart before the trip even began. We wanted to buy a “one day fishing license” at Wal-Mart. We went to the hunting and fishing license counter in Wal-Mart… and waited a few minutes. There was no one behind the counter. A guy who was in front of us said he had already been there for a few minutes, and that a third customer had been in front of him but left after 15 minutes of waiting because no sales clerk came to help. After hearing that, we searched the store and found a clerk to help us… but this clerk called someone from a phone, and after a couple more minutes a person came out to help us. The person who came out to help us tried for a few minutes to do the “one day” fishing license, but couldn’t figure it out. So she called a manager for help. A couple minutes later, a manager came out to help. After a few minutes of typing on a computer, the manager said that they did not sell “one day fishing licenses.” He said the state of Kentucky recently passed a law that the shortest fishing license offered is a 7-day license for $30. I have never been to Kentucky, but I glanced at my father-in-law and he glanced at me… we were both thinking it was strange for a place to not offer “one day fishing licenses.” My father-in-law walked over to a nearby rack of fishing booklets. After a minute of flipping through the fishing booklet, my father-in-law said we would skip the fishing license here and try our luck at the lake’s bait store. When we got to the lake, we bought “one day fishing licenses” at a bait store. I don’t believe the guy at Wal-Mart lied… but I do believe he didn’t know what he was doing. Moral of the story: Don’t buy one-day fishing licenses at Wal-Mart in Kentucky. We went to Red Squirrel, and there are five or six Red Squirrel Restaurants in the area according to my friend (only 3 are listed on the website though). 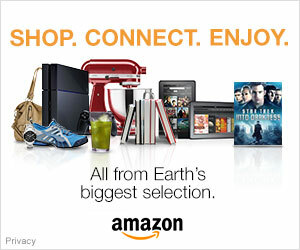 Either my friend is wrong or the website needs to be updated. Anyway… the food at Red Squirrel was very good. I had a Ruben cooked with a large cut of ham. We also tried something called Goetta. What is Goetta? The taste of Goetta reminded me of hash browns made out of oatmeal instead of potatoes. Apparently it is very popular, and they even have a Goetta festival in the area where people make all kinds of recipes with Goetta featured as the main ingredient. I like exploring and learning. So for this I learned that something called Goetta exists… and I learned that my wife likes it and I do not. 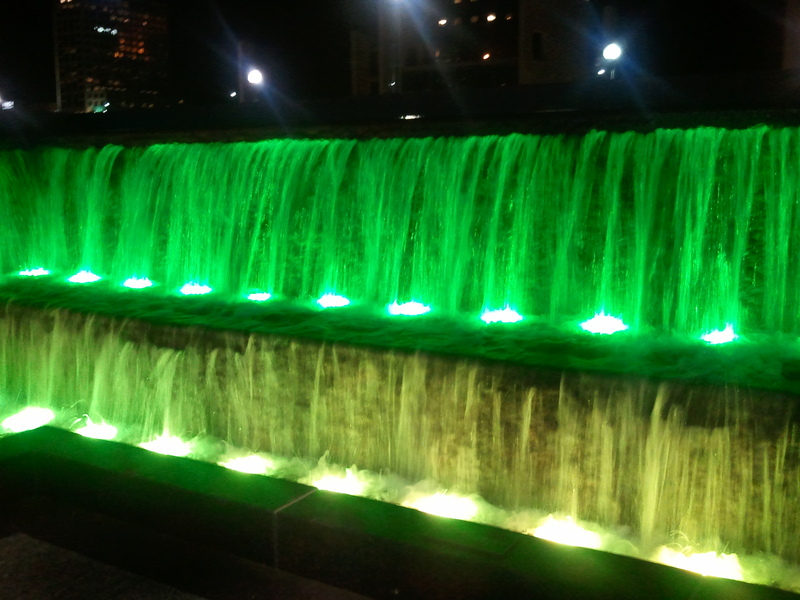 My wife and I had fun at the Cincinnati fountains that change color at night. 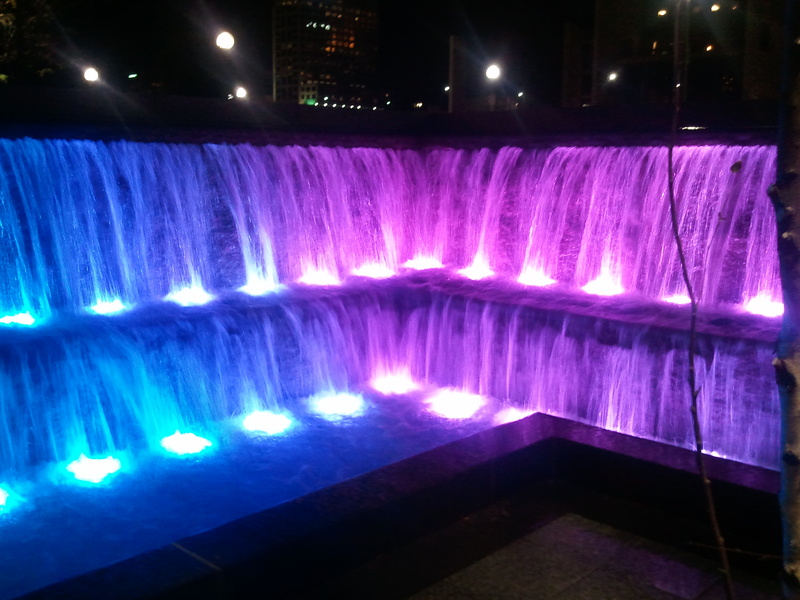 There was a fountain, and also a waterfall. The changing colors were beautiful. I could have sat there for hours and just watched the colors change. It was funny when the ball was hit into right field. The outfielder disappeared behind the hill, and moments later the ball seemed like it popped from a gopher hole because we could not see who threw the ball. For those who have not seen it before, the rules are similar to modern day baseball. However, it is a gentleman’s game. If the pitcher doesn’t put the ball where you want it, you politely ask the pitcher to make the pitch higher, lower, or wherever you want the pitches so you can get the best chance of hitting. And players do not use gloves. I have trouble catching with a glove… so these guys were pretty good using bare hands. Catching baseballs with bare hands meant we noticed a few guys who were playing that had bandages on broken fingers. 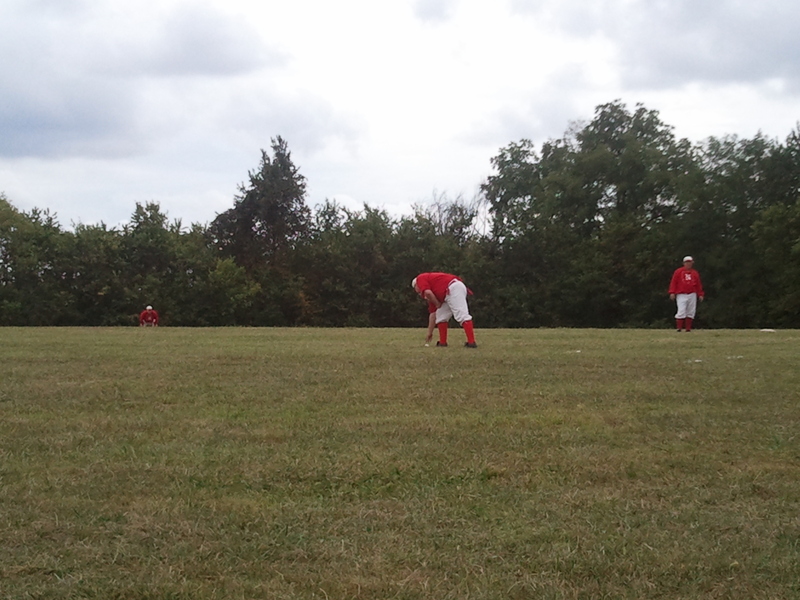 This is common for vintage baseball. The game was fun to watch. I am guessing that over 100 people were there to watch the game between the Norwood Highlanders and the Rising Sun Belle Rivers at Ward Hall in Georgetown, Kentucky. 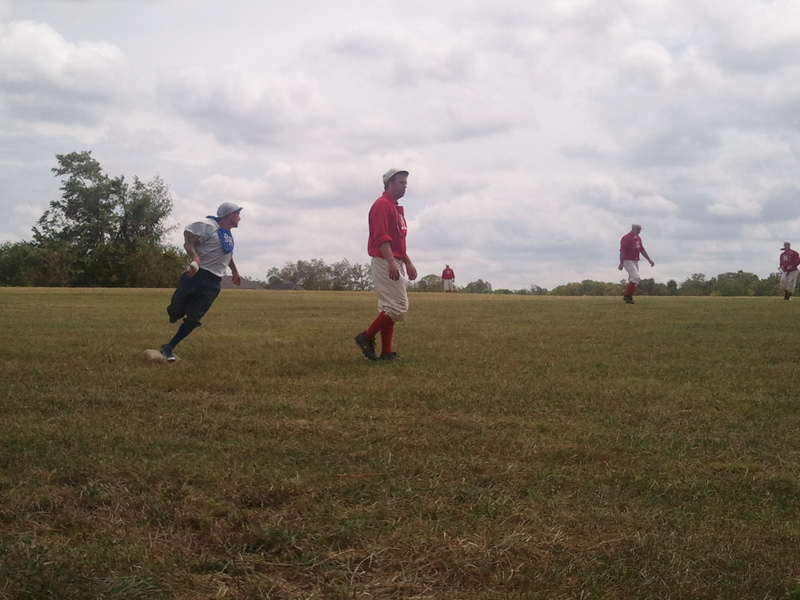 In this game, the Norwood Highlanders won 26 to 15 in a game called “The Battle of the Bourbon Bottle.” Their trophy = a bottle of bourbon! I did not realize how afraid I was of guns until I felt the weight of the gun in my hands. I believe this is a healthy fear so therefore I have no shame in it. I fired a 9mm Beretta (automatic handgun), a Taurus UltraLite .38 Special (five shot revolver), and a 9mm Smith and Wesson M&P (automatic handgun). I also held ammunition to feel the difference in weight between a .22, .38, 9mm, and a .30-06 (Pronounced thirty ought six). Please forgive me if I mess up some of the terminology. The owner of the gun range in Kentucky seemed annoyed (or amused) when my wife and I referred to the gun magazines as clips. I received approximately 20 to 30 minutes of gun safety instruction before I ever fired the gun. And then I learned how to clean the guns when we were finished. I did not take a photo of my firing the guns because I was firing a deadly weapon for the first time and I did not want to end up on World’s Dumbest. 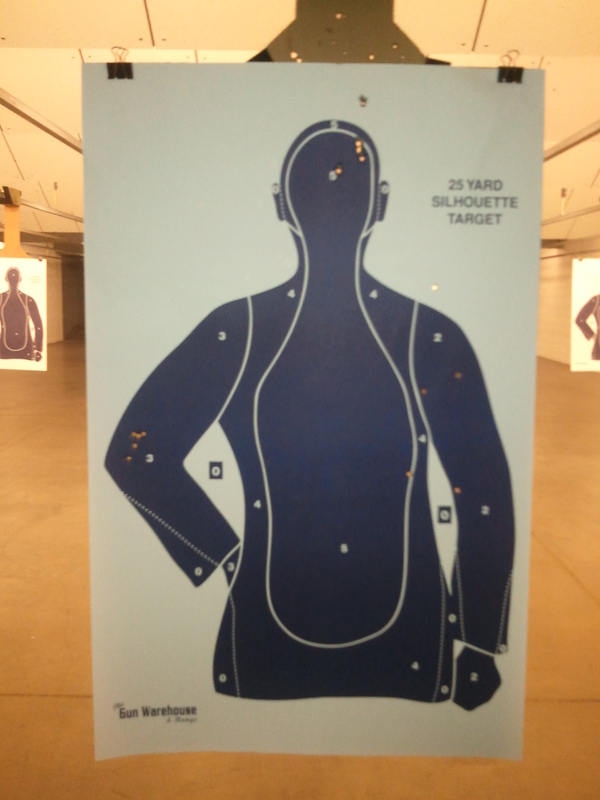 Anyway, I did fairly well for my first time shooting. I began with the Taurus .38 special. Before I even fired the .38, my father-in-law in the neighboring gun lane fired his Beretta. My wife and I were both surprised by the concussion we felt from his gun firing in the next lane. I felt it in my chest. In fact, my father-in-law remarked that HE was surprised by the concussion he felt from the gun when I fired the Beretta later. If a 9mm can do that, I would hate to be around something larger when it is fired. Back to my first time firing a gun. I began with the .38 special (a five shot revolver). 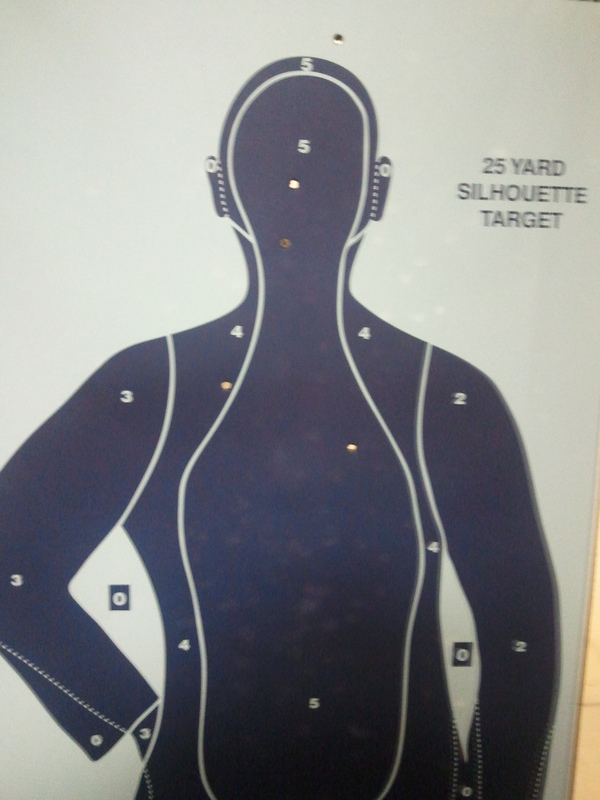 I fired all five shots at a human silhouette target that hung 7 yards away. I felt like the thief would have survived if he/she broke into my house until I brought the target closer. All five shots were within five or six inches of where I wanted them to be. Not bad. The recoil from the gun was stronger than I expected… but not enough to hurt my wrist. In fact, I enjoyed firing the .38. I like the ability to pull the hammer back before squeezing the trigger because it makes the trigger feel softer. As you can see, even though I was disappointed with my first five shots, my aim was decent. Only one miss, and the other four would have stopped an attacker. Next I fired the 9mm Smith and Wesson. This also had more recoil than I expected, but again not enough to hurt my wrist. I did not like firing this one, but I was more accurate with it than the .38. When I fired the 9mm Beretta later it did not surprise me with the recoil. Bit the sites were off on this gun. It was brand new out of the box, and apparently it was supposed to be already set up, but the sites were off and it shot low and to the left (according to my father-in-law who is the gun expert). However, once I figured out that … I was still really accurate with the Beretta. We had a competition between the three of us to see who had the best aim. The goal was to cluster five shots as close together as possible. So I aimed at the head of the target, my father-in-law aimed at the silhouette’s right elbow, and my wife aimed at the silhouette’s left shoulder. In the above picture, you can see that my wife finished third… I finished second, and my father-in-law won. This was only my first time shooting and my accuracy was pretty good with all three guns. I enjoyed firing the revolver more than the two 9mms… but I was slightly more accurate with the two 9mms. If I get a gun, should I get a .38 which I preferred to shoot… or the 9mm which I was slightly more accurate with? Anyway, as you can see I had a busy week in Kentucky and Ohio. Life isn’t just about experiences… it’s about the people you experience it with. My family and friends made it great. I learned how bourbon is made, I learned how to clean catfish, I found a new artist I like, I learned about and tasted Goetta… I even learned how to shoot and clean handguns. Yes, it was a busy seven days but it was also a lot of fun.